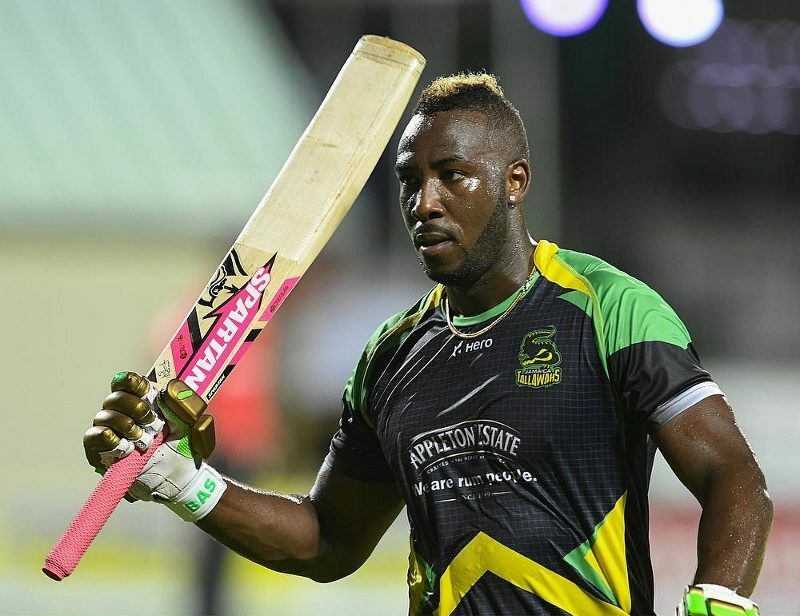 For Andre Russell, the rest of this year will feel like forever. In the prime of his cricketing life at the age of 28, and with his value in the lucrative T20 format of the game increasing significantly following a phenomenally successful 2016, the Jamaican all-rounder is now cast into the wilderness, banned from the sport in which he has already earned so much and also brought so much success and delight all over the world. Barring an overturning of the decision on appeal, he is now serving a one-year suspension from all officially-sanctioned cricket following a decision handed down January 31 by the Jamaica Anti-Doping Commission after he failed to fulfil the whereabouts requirements of the anti-doping regulations three times between January and July of 2015. Instead of feeling aggrieved and bitter though, Russell should be grateful that he was not banned for two years, which appeared likely given the efforts by the international sporting organisations to clamp down on the abuse of banned performance-enhancing substances. Patrick Foster, the cricketer’s lawyer, maintains that his client is a “clean athlete.” But that really isn’t the issue, which might appear to be a contradiction in the context of a discussion on doping in sport. What this clearly appears to be is a case of negligence on Russell’s part rather than enhancing performance illegally. It should serve as an object lesson to Caribbean cricketers, many of whom may have a very relaxed attitude towards anti-doping processes and procedures. Of course, Pakistan has had its own very recent experience with a doping violation involving a prominent player, so there is no need to re-tell the Yasir Shah saga in this context. Russell’s argument about a lack of experience in filing the required paperwork on his whereabouts and preoccupation with many international cricket commitments in Twenty20 franchise tournaments across the globe always sounded weak. It no doubt comes across as extremely burdensome for active young men and women to have to continuously advise authorities exactly where they are in the world, but this is what the modern sporting personality effectively signs up for when they seek to develop their careers on the international stage. All major sporting organisations regularly counsel their competitors on the need to be extremely vigilant, both in what they consume and in fulfilling the anti-doping administrative requirements. There is no special consideration for West Indians, who may be presumed to be laid-back and lackadaisical, when it comes to meeting these standards. Cricket has been slow to come up to mark with the requirements of the World Anti-Doping Agency (WADA). It was actually ten years ago that the International Cricket Council signed on to the WADA code, but it would be another five years before the “whereabouts” clause was accepted by the international umbrella organisation for the sport. As has been the case for the universal application of television review technology, it was the Board of Control for Cricket in India (BCCI) which led the resistance to players having to continuously keep authorities advised of their movements. It is understood that several of their prominent stars at the time objected to the requirement on the basis of it being a violation of their fundamental right to privacy and that it also posed a security threat. Skepticism over the integrity of the process was fuelled last year when the initial two-year ban imposed on Sri Lankan wicket-keeper-batsman Kusal Perera was overturned after an accredited laboratory in Qatar was revealed to have botched the analysis of his urine sample. Yet whatever its failings or shortcomings, the WADA code is now essentially the ICC code and players are expected to come up to scratch or pay the penalty. In the case of Russell, the task will be to put the entire experience into perspective, even if he continues to hold out hope that a legal challenge could still see him cleared to resume playing sooner rather than later. Yes, the money he earns as one of the most versatile and successful Twenty20 cricketers around will be missed. But as with any sports personality of note who is forced onto the sidelines for whatever reason, the real loss is the inability to be part of the contest, whether it’s for Twenty20 World Champions West Indies or any of the franchise teams for whom he has already played key roles in their title successes everywhere from the Caribbean to Australia. That includes Islamabad United, who are commencing the defence of the Pakistan Super League title without his services. Steven Finn is not a bad replacement as a fast bowler, but there are few in the game to surpass Russell's lower-order power-hitting. If nothing else, Russell would have learnt a difficult lesson, one which his contemporaries all over the world, including Pakistan, dare not ignore.